The West is causing depletion of natural resources and environmental destruction with the help of questionable companies, financial institutions and governments. 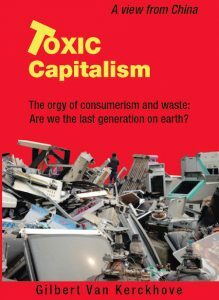 Toxic Capitalism, a succinct volume jam-packed with interesting and informative data, shows how to fight overconsumption and wastage. Gilbert Van Kerckhove, is from Belgium and graduated as a master in electronic engineering. Since 1980 he has been working with China, where he spent 27 years, mostly in Beijing but also in Hong Kong and Shanghai. Living in China he became alarmed by the dramatic pollution levels and the impact of Toxic Capitalism, an unwelcome strain of capitalism that thrives on overconsumption and indiscriminate wastage, promoted by the West with the help of questionable companies, financial institutions and governments. China, as Factory of the World, is facing depletion of resources and roams the world to satisfy its voracious appetite for energy, raw materials, and food. How serious is the environmental destruction? Is capitalism fundamentally wrong? How did we come to this madness, and what can we do to preserve the future of our children? The book counts 372 pages with 57 pictures. The book (soft cover only) is available in Beijing in The Bookworm, price RMB200. I also have copies in my office for those who want a signed copy. 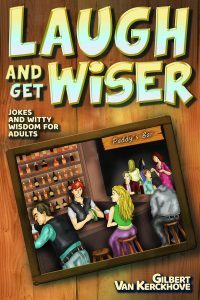 Gilbert has written the book we all wish we could write. It offers a very concise description of the world’s economic, environmental, social and governmental problems but, more importantly, it tells us what we can do about them now, before it is too late. The book is jam packed with interesting data, much of which is from China – the new epicenter of toxic capitalism. Although it can be used as a great reference, it is not merely an academic tome. It has an armchair feel and is a terrific read. Bravo! Frank T. Gallo, Ph.D., Chief Leadership Consultant, Aon Hewitt Greater China, and the author of Business Leadership in China. The dramatic environmental deterioration in China, the growing threat of global warming, and the frantic quest for natural resources are all linked to a strain of capitalism that has spread through the world. We are slowly destroying our planet, depleting precious resources and tearing down the fabric of society. We need to combat the idolatry of consumerism and fight for our goals: quality & durability, saving resources and energy. We simply consume too much and too quickly: too many gadgets, too many clothes, too many consumer products we either use little or even never at all. We waste too much, including food. Quality & durability are not limited to consumer products. We need it in governments, services, companies, and financial institutions. We have to change our lifestyle. Consuming less does not necessarily mean a threat to employment and industry. We need to rebalance labor markets to make better products and to provide better services with a long-term vision. Markets should be as open and fair as possible, as long as quality and environmental concerns are properly addressed. If done correctly, we can generate new employment, save energy and resources while combating pollution and global warming. It will cost money, and prices of goods, services and utilities will increase. In exchange we get better goods and services and we do not shift the real cost and liabilities to our children. China merits a lot of attention. As “factory of the world” it has been used, and abused. Its environmental situation has come to a point where drastic action is needed. It is desperately looking for new resources, such as energy (oil, gas, and coal) and commodities (iron ore, minerals, and agricultural products). It goes out to the world, buying up companies, mining operations and other resources to achieve long-term supplies, putting strains on world markets and increasingly competing with the West. The more the West consumes, the more it buys from China, the more China needs. The West blames China for its pollution and for failing to treat its workforce fairly, but by imposing cut-throat price levels it does not give a chance for Chinese manufacturers to respect the rules. China is lucid about global warming and its own pollution problems, and it tries to address it through long-term plans and has become the world’s largest investor in clean energy. We all need to work together to reverse the vicious spiral that has brought us crisis after crisis. The frenzy of irresponsible consumerism has to stop to protect future generations. To succeed, we need better government, better financial institutions, better companies and a fair but flexible labor market. Unfortunately cronyism and vested interests block attempts to change laws and to improve efficiency. Governments have been failing us and the West is paralyzed by political, financial, and industry leaders who fail to perform; it is facing severe economic and social challenges but it does not address the root causes. The book takes a closer look at data and research on environmental issues, labor markets, governments, financial institutions, income inequality, pollution in China, and Chinese overseas investment and long-term contracts in the energy and resources sectors. A section is dedicated to some day-to-day examples of waste and quality issues, and how we can all contribute to make our planet a healthier place.